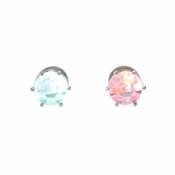 Original Night Ice ® LED earrings come in 6 vivid colors! New Night Ice Flashers also come in classic white, blue, purple, red, green and yellow. New Multi-Color Flashing Night Ice flash through a sequence of 7 different colors, for taking it over the top! Night Ice crystal LED earrings project positivity, good vibes and are fun for everyone. Light up earrings are instant conversation starters! 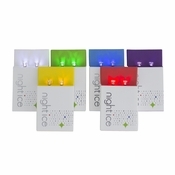 Collect all the Night Ice LED earring colors and styles and light up every party. Night Ice glowing earrings are perfect for dance parties, concerts, and sporting events! 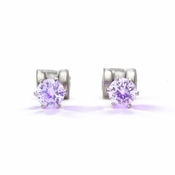 Night Ice light up earrings are stud earrings for pierced ears that get tons of compliments! Good thing you can turn them off when it's time to chill. 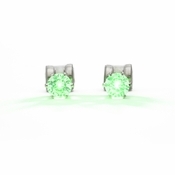 Batteries last over 30 hours and each Night Ice earring pair comes with 6 battery pairs! Night Ice crystal LED earrings make great gifts and look great on men and women and are perfect party favors. Be original, have fun, and light up every party with Night Ice LED earrings!